Stuff to Scrap is having their annual This Scrapper's Got Talent competition. The winner will be awarded prizes and a spot on the STS creative team. It's a 5 week competition with 5 different challenges. I'm here to show you my first 2 entries along with a great new release. So, week one was a template challenge. But not just any template challenge - we could take each layer and make it our own (move it around /change it up)...but each layer needed to be included somehow. I decided to start scrapping the kids' pictures from April and did Lia's first. 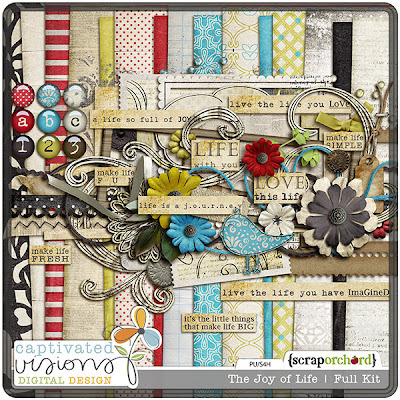 I used the beautiful kit, The Joy of Life by Captivated Visions (available at Scrap Orchard). Above is the great template provided by Moo2Moo Designs. Below is my end result. I absolutely love how it turned out. I don't normally like a lot of my pages, but I was pretty proud of this one. So I made it through to week two. Well...actually everyone who submitted a layout on time made it through, but that actually eliminated around 20 people from sign-ups. The next challenge was a recipe challenge focusing on white space and clustering. I love a good cluster on a layout - adds so much depth. On the other hand, I'm not a fan of white space. It looks good on everyone else's pages, but I'm not good at it. I like to fill a page - get my money's worth if you will. 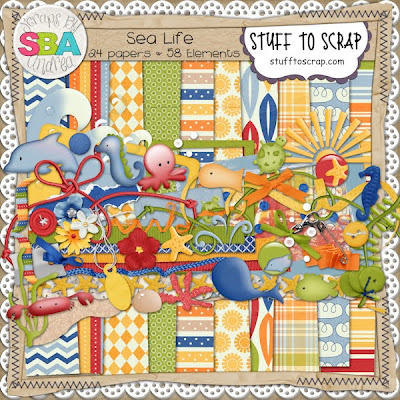 I decided to use Scraps by Andrea's new release Sea Life. 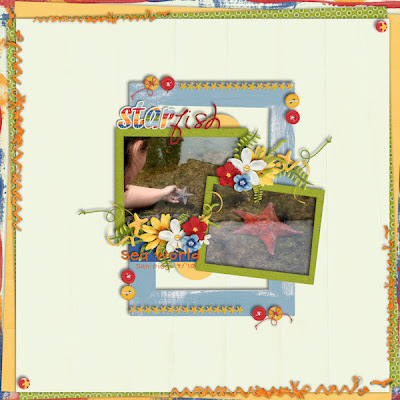 It is such a fun adorable kit for all those aquarium, Sea World, beach pictures. I still have a ton of Sea World and Aquarium pics from San Diego last summer, so I scrapped a couple of those. We could repeat any elements to make up the number needed except the 5 unique papers. We will be especially judged on the white space allowed and clustering skills. I will find out next Monday if I move on to week three. Here is my week two submission. And here's the great kit I used. Isn't it bright and happy? Check out her blog for some freebies. And be sure to check out her store before 6/30 - it's all 50% off since she's the featured designer this month. 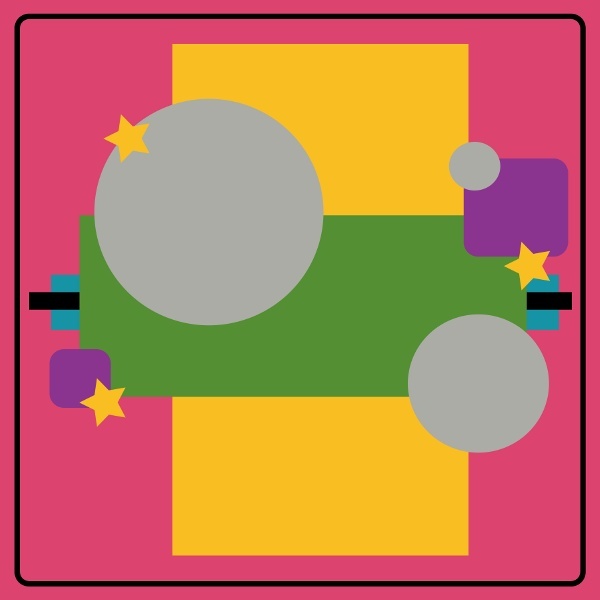 Layouts are linked to the STS Gallery. Kit Previews are linked to the product in the designer's store.